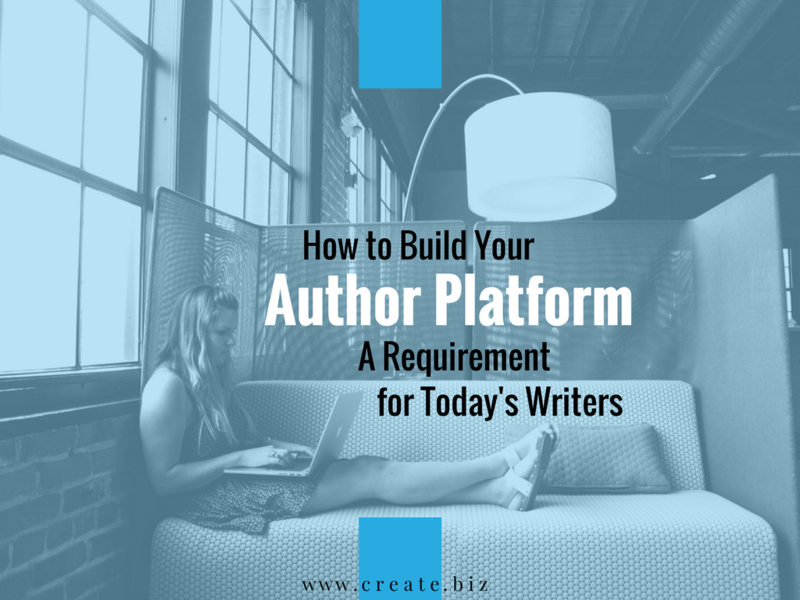 Building your author platform is the single most important thing you can do for your career as a writer. If your writing’s just a hobby, you can stop reading right now. But if you hope to be a published author someday – or to self-publish and sell your books yourself – it all starts with your author platform. In fact, it’s almost impossible to achieve any measurable success without an author platform. What Is An Author Platform? What’s an author platform? It might help to define it first, so that we’re on the same page. An author platform is the set of assets and activities that contribute to your brand. It’s how people see you, their opinion of you, and their support of you – both online and offline. It’s something that grows and evolves over time. It can gain strength with positive “inputs,” but it can wane and atrophy as well if you’re not putting work into it. The assets are things like your website, your blog, and your books themselves – but also your Goodreads profile, Your Facebook Author Page, your brand imagery, and your book covers. The activities are your social media interactions, your email newsletters, and your correspondence with beta readers – but also your podcast appearances, library readings, and in-store events. Get started right away with this quick 12-page eBook on setting up and integrating your assets: Social media, blog, email, and a store site. 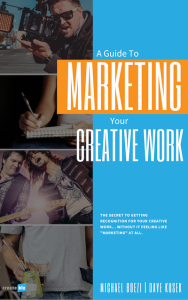 Download it here: A Guide to Marketing Your Creative Work. Why Is An Author Platform So Important? 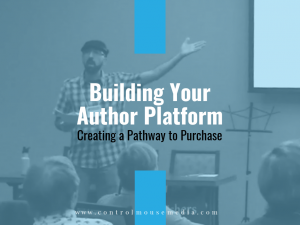 Whether you are an established author or building an author platform from scratch, your platform is a representation of your sales potential. Agents and publishers certainly see it that way. They won’t even look at an author these days without a strong platform. But even if you intend to self-publish, it’s just as important. It’s your base of operations, and a place to manage the interactions required to lead readers from the Awareness Phase through the Trust Phase to actually purchasing one of your books. And then beyond – purchasing another book, and becoming a fan that spreads the word about you and your work! Traditionally-published authors. Beyond the fact that you won’t even be considered by a mid-sized to large publisher without a platform, you have to take responsibility for marketing your book. 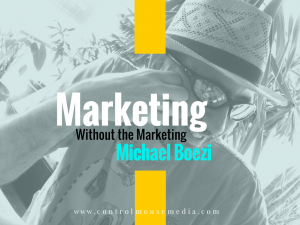 Publishers often mean well, but their marketing lasts for 12 weeks around the publication date – and that’s only if your book is considered one of their “tentpole products” for that sales season. Most authors will tell you that they are unsatisfied with their publisher’s promotional efforts – even the successful authors. Self-published authors. Whether you think of it this way or not, you are running your own small business. In fact, I say this very same thing to traditionally-published authors as well. No one will care about your books as much as you do, so you have to own it. But it you’re going the self-published route, it’s all you. You can hire some support as needed, but if you don’t establish a storefront and invite people to come in an browse, who’s going to do it for you? Don’t get intimidated, though. Anyone can do it. It just takes time and effort – and anyone can learn it. But it sure helps accelerate the process if you have a strategy, though. So let’s get started on building your author platform. Awareness is an important component of how to promote your book, but it will only get you so far. Consumers are different now, and they make decisions about you and your product/service well before they want to hear from you directly. They are going to do their research first. Before they hear from you, they need to hear from someone else that you are legitimate. In other words, what you say doesn’t matter nearly as much as what others say about you. But that doesn’t mean that you can’t have influence over it. Let’s talk about developing your brand as a way to help others say the right things about you. On the front page: A clear statement of purpose, and a way to get in touch. If you’re just starting, this can be a one-page site. You want to have your own domain as a destination. A lot of writers rely on Facebook as a home page, and a way to connect with readers. This is useful, but what happens when Facebook changes its terms of service or its algorithms? Own your own site. No exceptions. 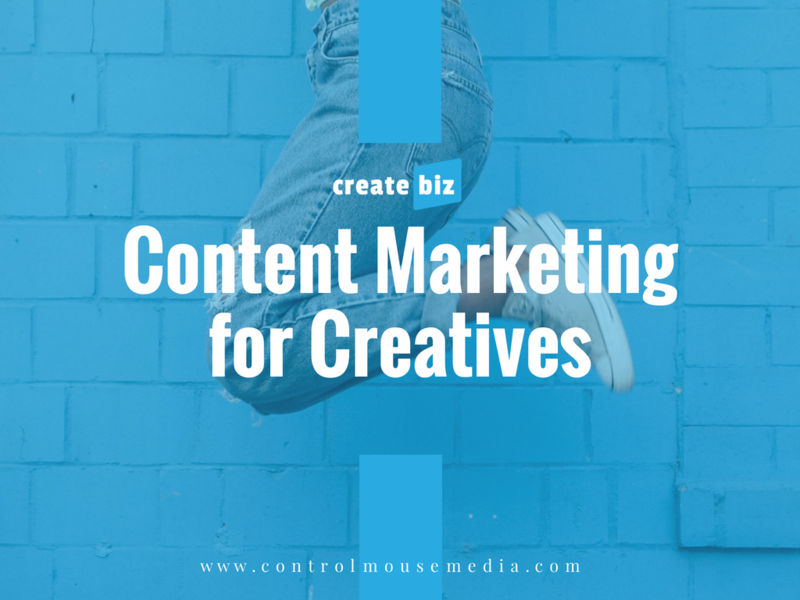 Maintaining control of your brand means being in full control of your content. A lot of writers ask, “should I have a book site or an author site?” My answer is simple: You are your brand. That means that you are the business and the books are your products. Set up an author site, and you will always have a hub for your readers – from your first book to your tenth book. This is the very core of your content strategy. I get a lot of resistance to blogging from writers, which is puzzling. First of all you’re a writer – you can write! Second, it’s going to help give your readers a taste of who you are and what your writing’s like. Why would you resist this incredible opportunity? If this sounds like you, start with a simple mind shift: Don’t think of your blog as an ephemeral stream. A blog is a terrible publishing platform in a lot of ways. It can feel like when you produce something, it just disappears into the ether. Instead, think of your blog as permanent pieces that can offer lasting value in helping your new readers get to know you. What can you write about? How about early drafts of your next book? Short stories that you might never compile into a book? WIPs that could use some reader feedback? An illumination of your writing process? Common questions from your readers? Pick whatever you think is going to be of interest to your readers. You’re there to educate, inspire, enlighten, or entertain. You’re building rapport. You are using the wrong channels. Just because “everyone” uses Facebook doesn’t mean that it’s right for you and your audience of readers and potential readers. There are a ton of social channels – you have to find the one that’s right for your particular audience. You are doing it wrong. The biggest mistake that people make on social channels is that they treat it as a 20th century broadcast medium, churning out “look at me” awareness chum. You’re not fishing, you’re connecting. Get bi-directional and stop selling. Social doesn’t work that way. You haven’t really given it a chance. This stuff takes time. Building a community does not happen overnight. Social media just makes those connections more available to you – but you have to do the work. Find common interests. Participate. Offer real value. Just like you would in person. Guess what? These are not the fault of the medium, the audience, or social media in general. It’s up to you to make it work. 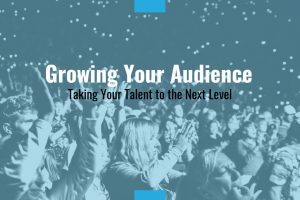 There are tons of writers just like you who have found their audience and built a community online via social channels. This stuff works, if you do it right. But you can’t go into it thinking that you are just there to yell about your book and hope that people will care. The rules are different now. You have to approach this by making the first move – and being generous about it. You have to take a risk and provide real value to real people, without expecting anything in return. If your goal is to get people to buy your books, then email is where the magic happens. People don’t buy your books because of a Facebook post. They buy because you’ve built up a rapport with them, and you’ve established trust. Email is the last stage of the trust-building process. Not everyone on your email list will become a buyer, but it’s your best chance to influence the process. When someone subscribes to your email list, it’s an indicator of trust. You have now been granted permission to visit their inbox. It’s considered high-level access, and you have to take this responsibility seriously. You can’t be pushy or sales-y, you have to take a much more soft-touch approach. Just like in blogging, you have to be there to serve them in some way. But since you’re a little closer to your email subscribers, make them feel like the “in” crowd. Give them exclusive access to things you don’t share with your blog readers. Maybe that’s a pre-publication preview chapter. Perhaps you let them help pick from a set of potential cover designs. Maybe you let them name a supporting character in your next book. Whatever you do, make them feel special. If writing is your career, then you are a business. Your books are your products, and your readers are your customers. I can’t think of a single business that doesn’t benefit from real connections with real customers. Business is all about relationships. Think of each of these tools – your website, your blog, social media, and email – as a way to build these important relationships. Set this up so that you are guiding people down a pathway to a purchase. Get a little closer with each contact you make with a reader. Let them in on the process. It’s going to take time, and you have to get comfortable with the fact that you can’t rush it. This is why it’s important to have a strong foundation in your website – you can keep building on it little by little with your blog, driving awareness with social media, and developing deeper relationships through email. Yes, there’s more to it than having a base of operations and posting to social media channels. Without a strategy behind it, these are empty activities that will lead you nowhere. 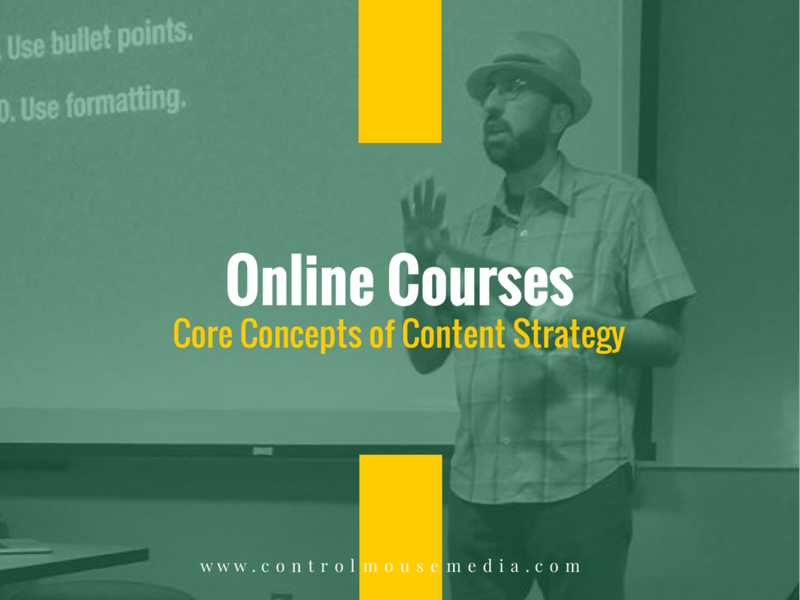 Having a base of operations is only the starting point – there’s a lot more to content strategy, with particulars for writers like you and me. Here’s my series about CONTENT STRATEGY FOR WRITERS. Subscribe here and I’ll notify you when I publish more on the topic. An overview for beginners based on an in-person workshop that I conducted in Marlborough this fall — all about using your website, your blog, social media, and a sound email strategy to find new readers and guide them down a pathway to purchase. 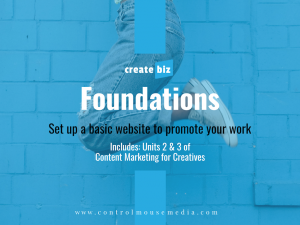 This online course is for those who want to build a basic website to promote their creative work. We start with your goals, help you get your branding in order, and then get the rest of your foundation set up: Your blog, social media, and an email marketing strategy. See for yourself – have a look at the first module here and see if you think this would help. Then sign up for a free set of email lessons to “try it on.” No obligation, just the hope that you’ll learn something new that you can start applying immediately. The best way to showcase your talent is by activating word-of-mouth marketing. Your message will travel further and faster in the hands of others. Growing your audience is not a passive process though. It requires a strategy, one that can seem counterintuitive at first glance. 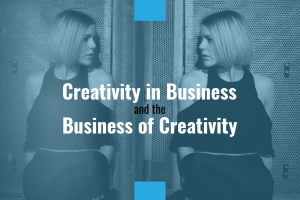 There’s a myth that creativity and business don’t mix. In fact, the opposite is true: It’s never been more important to bring creativity into business, and there’s never been a better time to turn your creativity into a business. Here are 4 strategies to break down the myths that limit our potential. 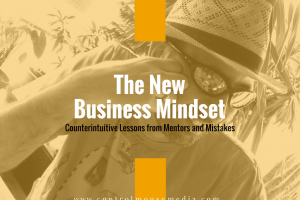 Why does business need to be a ruthless, zero-sum game? It doesn’t. You can still be successful by being nice – and in point of fact, I think that you can be even more successful if you unlearn some of the awful lessons that the corporate world teaches.